There had been speculation that some form of pre-orders were coming to the Google Play Store, and it turns out that is true. 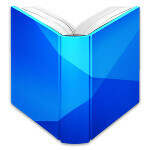 Google Play customers can now pre-order books, and, as a nice change, this feature is available on Android right now, as well as the Play Store website. Google has had a tendency recently to premier new Play Store features on the website before it comes to Android. Pre-ordering a book works just like purchasing a book with the notable exception that you don't actually receive the book right away, and only get it when it is actually released. For the event, Google has added a "New and Coming Soon" section to the Play Store, and you'll find the first batch of pre-order capable book listings there, including Tom Clancy's new book Threat Vector, and a surprising number of romance novels from the looks of the covers. If you want to check it out, just go to the source. No doubt, that "New and Coming Soon" section will be a constantly rotating section in the Play Store, so check back if you're looking for something new to read. I wish google would come out with an ink ereader. Thats the only reason I buy from Barnes and Noble over Android.